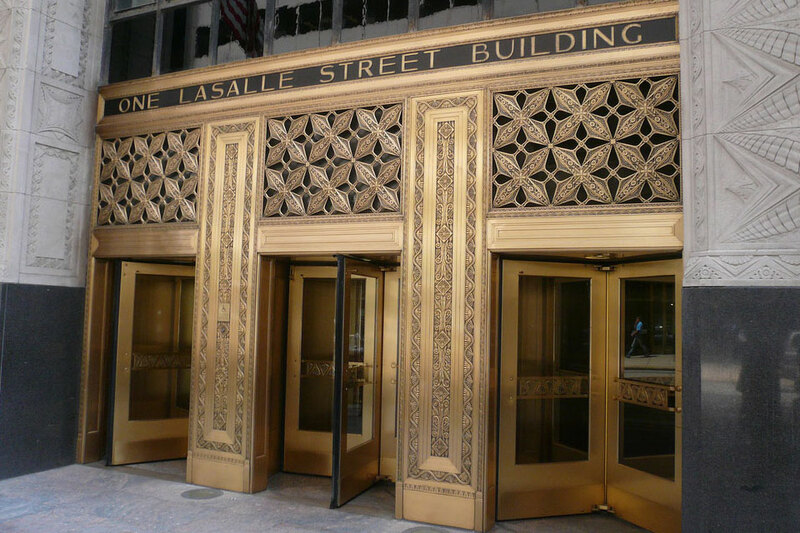 The One North LaSalle Building is a building in the LaSalle Street corridor in the Loop community area of Chicago. It was for some time one of Chicago’s tallest buildings. Previously the domestic water in the building was supplied via a duplex pump system and tank in the sub-basement which pumped water up to the 25th floor. On the 25th floor another duplex pump system would then pump water up to the 48th floor and would store domestic water in two large atmospheric storage tanks. These tanks would then gravity feed the building. We were contacted to engineer a new pump system for the entire building, the previous pumps were aging and before they were to require extensive maintenance or a catastrophic failure the chief engineer of the building wanted to install a new pumps system. In addition to new pumps the chief engineer was looking to have a high efficiency pump system incorporating variable speed drives as well as an intelligent PLC based controller to communicate with the building automation system. We worked with the building chief engineer and the installing contractor to fabricate (2) new custom pump systems, each designed to be “knocked down” to ease installation due to age of the building and the narrow hallways and doorways to get to the mechanical rooms on both the sub-basement and the 25th floor. Each system incorporated a remote pressure transmitter allowing for precise pressure control. Although unique but not uncommon, the building is laid out so the lower level booster system pumps directly into the upper level booster system. The remote transmitter ensures that we maintain consistent and precise pressure both at the top of the building and at the mid-level of the building where the two systems meet. Building Water Pressure Pump Upgrade? Learn more about how Metropolitan is capable of designing the perfect packaged booster pump system for your next project.